The Guidance Center’s Great Start Readiness Program (GSRP) is a high quality preschool program for four-year-old children with factors that may place them at risk of low educational obtainment. Our primary goal is to provide four-year-old children, who may be at risk of low educational obtainment, with a high quality preschool experience that will prepare them socially, emotionally, cognitively and physically for school and for life. For more information contact Suzanne Wilson at 734-785-7705 x7599 or swilson@guidance-center.org, or Brenda Brooks at 734-785-7705 x7434 or bbrooks@guidance-center.org. 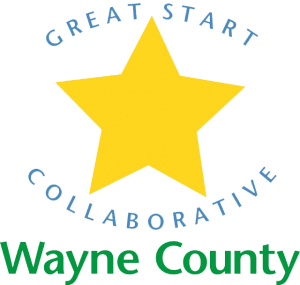 TGC partners with The Great Start Collaborative-Wayne to create a coordinated system of services and develop resources to build a strong foundation for children and their families.